● Strengthen the bond between students and the Quran to preserve their natural goodness (Fitra) and help their love of Allah and closeness to Him to grow. atmosphere with the Holy Book of Allah at its center. important in helping them to live happy, healthy lives far from confusion or misguidance. ● Share parts of the Seerah, Prophetic sayings, and stories of the Mothers of the Believers to give students positive role models to follow. ● Structure the program in such a way that it encourages participants to broaden their perspectives and increase their participation in the larger community’s various activities and programs. Online registration is also available for Mecca Quran Institute courses. Tuition is charged monthly. People registering online must also complete the Adult and/or Child registration forms above. Registration forms can be submitted to mqi@meccacenter.org, delivered in-person, or mailed to The Mecca Center, Attention: Mecca Quran Institute, 16W560 91st Street, Willowbrook, IL 60527. Please note that there is a $45 registration fee for each student and a check made out to The Mecca Center must be submitted with your registration forms. 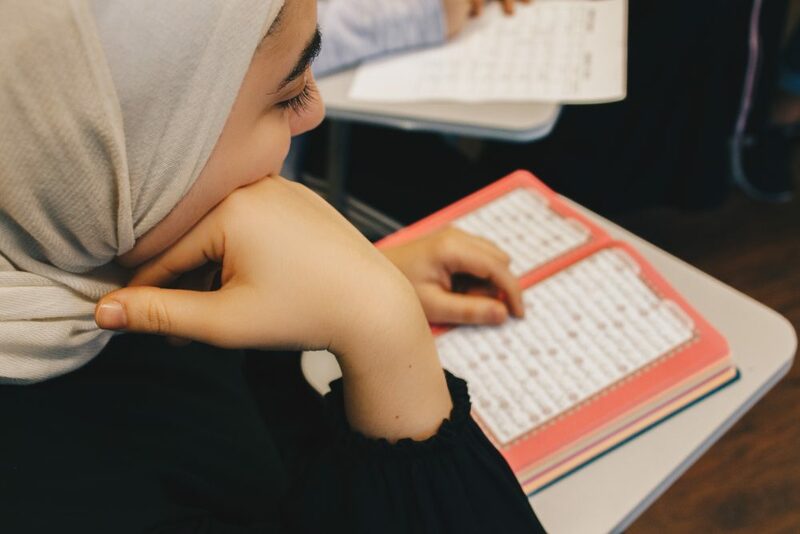 The Quran Institute holds classes at the Mecca Center – 16W560 91st Street Willowbrook, IL 60527. For more information, please call (630)241-2000 x4 or e-mail MQI@meccacenter.org.